Nutrition can be complicated. How do you know what foods are healthy and what aren't? How much should you eat? What exactly should you eat? During your lifetime, starting right now, you'll have to make a lot of decisions about food. You'll need to choose whether or not to eat breakfast. You'll pick what to eat for lunch. You'll decide whether you want to eat meat or not. It's good to be prepared to make healthy food decisions. 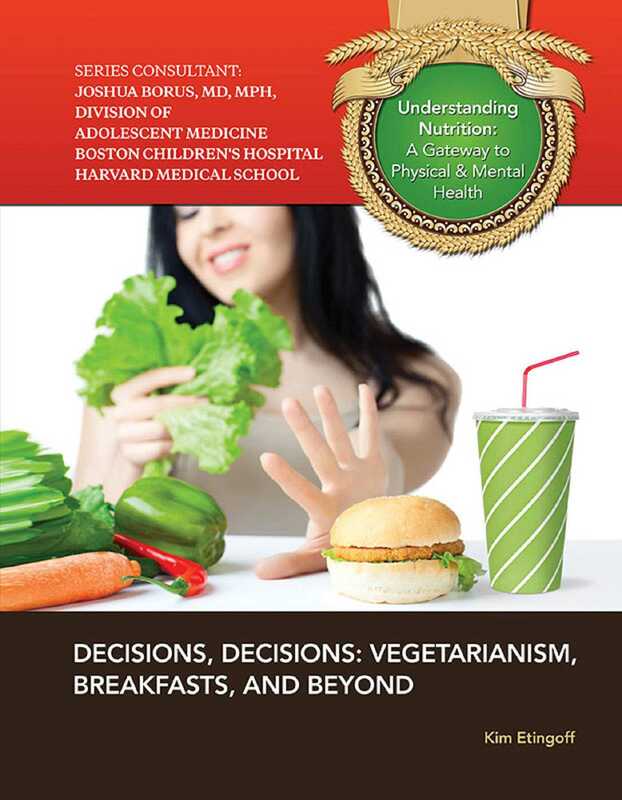 Decisions, Decisions: Vegetarianism, Breakfasts, and Beyond helps you navigate through the many food options you face.